Ja opet kazem divno razmisljanje.Ja sam malom skrenuo paznju i mozda ga i naucio a vidim da se jos neki ukljucuju.Ne moze tako generalno da se razmislja .Nas sport je u povoju a ko god ima namere da predje misli kupicu cigaru i teraj to je to.Mene su na vreme opomenuli mozda bi i ja roknuo.Bas ovaj sa rumune. Prvo prodavnice moraju da skrenu paznju zato sto su ti prodali.I kad ce vise da stave samo integrisane baterije i ogranice wate srazmerno bateriji. Evo da se malo umesam... Slozio bi se da prodavci treba da malo informisu musterije o proizvodima koje prodaju ali s druge strane e-cig nije za maloletnike i svaka punoletna osoba koja kupi ecig odgovara za svoje postupke na ovaj ili onaj nacin. Danas kad je uz internet svaka informacija na dohvat ruke samo glup covek se ne moze informisati o bilo cemu pa tako i o ecig opremi. 90% ovih baterija koje su eksplodirale ljudima su zveknule zbog kratkog spoja u dzepu ili uz neki mehanicki mod. Prosto i jednostavno ne trpajte baterije u dzep, ne koristite mehaniku i koristite najkvalitetnije baterije sta god od modova koristili i mirna glava svima. Kada se desi neka nesreca svi cemo da osetimo a ne taj jedan mucenik koji se zapalio. Evo primera koji nema veze sa e-cig ali govori o medijima i plasiranju informacija - ovaj snimak (ako ste gledali) dvojice nasih klosara koji su opljackali radnju u Milanu pre godinu dana. E pa koliko god se mi kao drzava trudili da popravimo imidz, ispliva snimak od pre godinu dana jednog kriminalnog dela ali koliko god ogavno, bez oruzja i nasilja. Juce se to vrtelo po vecini stranih TV stanica specijalizovanih za vesti vise puta dnevno iz poseban naglasak na - Srbi. Nema veze ni cinjenica da 80% krivicnih dela u Italiji pocine Rumuni, spin radi svoje i opet svi gledaju "divljake" Srbe. Nazad na temu, evo jednog zanimljivog teksta, dugacak je pa nema sanse da cu da ga prevodim. 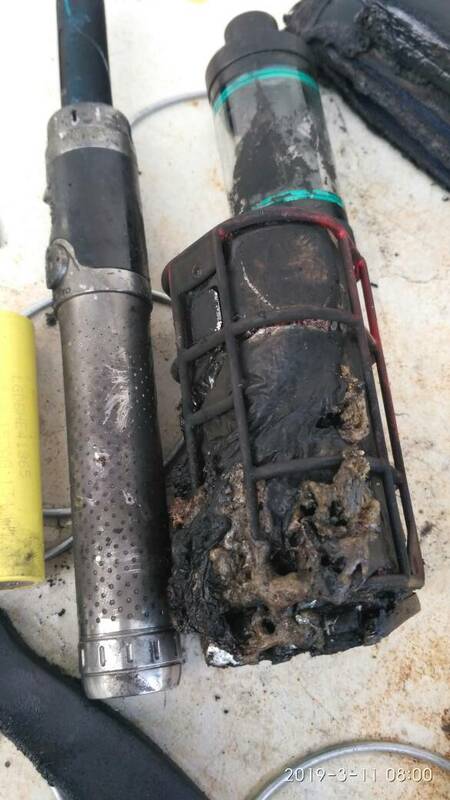 In February 2012 a Florida man, Tom Holloway, suffered extensive injuries after his vape device exploded, gaining the unfortunate distinction of being the first person to be injured by vape device. By today’s standards, this device was primitive: it was a closed tube with a button on the side and a screw thread on the top to connect the atomizing unit. Variations on this same technology still in wide use, known as “mech mods” because they close the electrical circuit in a purely mechanical fashion. This injury didn’t come as a surprise to many in the then small but fast-growing vape community. Indeed, E-Cigarette-Forum had tried to create a standard which would mitigate the fallout of so-called “thermal failures”; simple things like ensuring vents could allow explosive gasses to escape and be directed away from the user. It didn’t take off, with only one or two manufacturers managed to build to the spec. 2012 saw the introduction of advanced microelectronics and a big change in battery chemistry, reducing the impetus for making mech mods safer. The reason for the existence of mechs at all was simple: vapers had discovered that by reducing the resistance of the heating coil, a higher power vape could be created. These devices required larger batteries than were standard in the mass-manufactured e-cigs of the era, and so enthusiast-entrepreneurs in the US and across Europe started going to machine shops and having their own designs made up. The majority of people purchasing these early devices were strongly attached to one or other of the vaping user-communities around the world. To these users, the risks involved were clear and present. To anyone outside of this community, the safe usage of mechs depended entirely on whether or not they conducted their own research, or whether they were directly educated on safe usage by the retailer. In 2012, Evolv released the “Kick”. For those with less appetite for risk, the Kick a was a small microelectronic unit which sat in-line with the battery and the device, and which could shut a mech down if it detected dangerous events. It’s not clear how many users actually used a Kick, but Evolv went on to become pioneers of much of the technology used in today’s products. Today’s regulated devices (sometimes referred to as Advanced Personal Vaporizers, or APVs) ensure that the batteries are not overstressed, will not continue to operate if there’s a short-fuse event, and are in the main affordable and widely available. Some of these devices have eye-watering performance characteristics, far exceeding what can be safely achieved with mechanical devices. Why are mechs being used today? Many product categories have a hobbyist/purist consumer base. Think automatic watches: the technology is pure artful engineering with no microelectronics. They’re purchased less for the accurate telling of time than to own something made in a time-honoured fashion, allowing the wearer to participate in the centuries-old and ever-developing world of horology. In a similar way, mech’s are superseded technology; you don’t need to buy a mech mod to experience the performance that was only available through mechs if you were vaping five year’s ago. But you might choose to buy a mech for a number of reasons. The fashion for mech devices is typically generated by the community of small manufacturers in the US or Europe who gain loyal followings from their users. Mechs are the vanguard of the vaping subculture: the image of a twenty-something vaper clutching his mod having become totemic during the rise of vaping. In terms of declared motivations for using a mech, many do so because they enjoy the hobby side of vaping, because they want precise control over their experience, or maybe just because that’s what they were recommended by their retailer. Given that most regulated mods are made in China today, there’s also a “buy-domestic” motivation. That said, many the mechs in circulation are cloned versions of the originals, also made in China. All said, the average mech user today is much safer than one five year’s ago. The chemistry of batteries is totally different, with many handling an output that would have sent the original batteries into instant thermal meltdown. If this battery technology were not available it’s likely mechs would have been banned some time ago. So, what’s to be said about the explosions we’re seeing currently? The first thing to note is that they are not exclusively occurring amongst mech users. The data is thin, but it appears that the majority of events are related to the inappropriate storage of batteries. It doesn’t matter if the device you’re using is a mech or a regulated device, carrying these batteries loose in pockets or bags runs the risk of short-circuiting them on coins, keys or other metal objects. 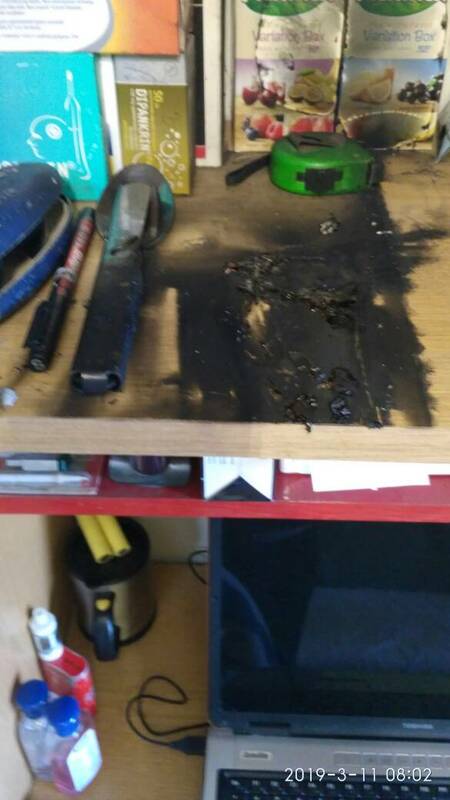 Of course, there’s a dramatic difference in outcomes between having a battery going thermal in your pocket and a device explode an inch or two from your face. Do consumers understand the risks? The batteries themselves contain a massive amount of energy. Consumers really haven’t had wide experience of batteries like these up to now: they are not AAAs! I calculated that a typical 18650 contains around as much energy as two 50 cal rounds. 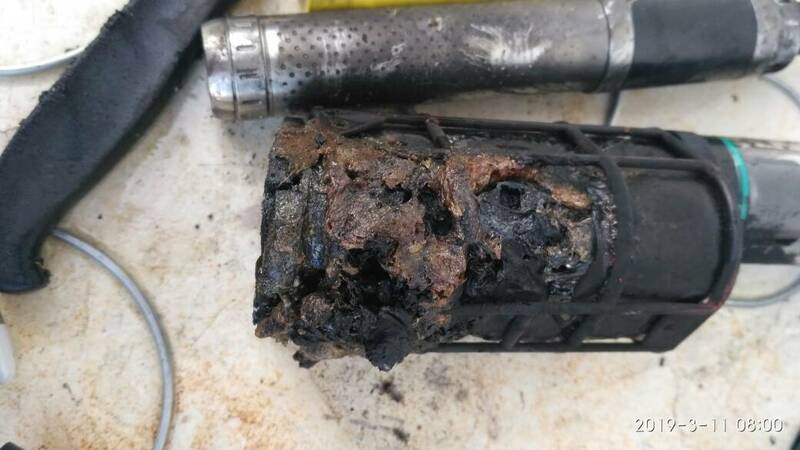 These batteries are inherently dangerous products and consumers need to understand what they’re dealing with. This has to be a piece the industry addresses. Consumers must be made aware of the risks and taught to use them safely. The information is out there and available to consumers, but they have to educated that they need to understand the products before using them. Murphy’s law dictates: “if it can go wrong, it will go wrong”. Accordingly, mechs will always cause injury no matter how much education there is. I personally can’t see regulators tolerating this, given the existence of technology which is cheap and safe, but prediction’s a mug’s game so I won’t try to say what I think’s going to happen. Wismec Exo Skeleton, bio isključen. ja sam vidjao da se ovo desava onoj kineskoj kopiji ovog moda sto kosta 18 dolara kit nesto mislim da se zvase mytri……. nikako mi nije jasno...jel tebi eksplodirao il ... po svemu sudeci tebi...hm? Sam od sebe,ugašen i odložen ili je bio na punjenju preko noći? Čitao sam na mađarskom ECF -u.
Nije bio na punjaču, sâm od sebe.